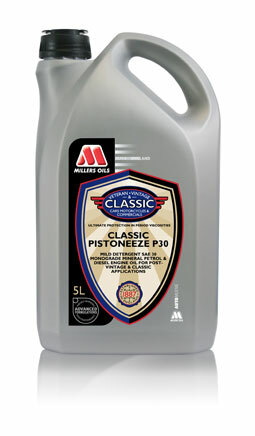 Millers Oils Pistoneeze P30 is suited to veteran and vintage vehicles where a monograde is required and the owner is confident that there is no dirt or debris collected in the crankcase. Also ideal for later vehicles built from 1940 to early 1960s with superior oil filtration systems which were designed to run on monograde oils with some detergent and dispersant additives. If the engine has been recently rebuilt and needs running in then you may need Millers Oils Classic Running In Oil for the first 500 - 1,000 miles.